It’s been slowly making its mark over the last few year’s but now it seems that developers, designers and builders are realising that prefinished cladding is more cost effective in the long-term than the traditional ‘low cost’ on-site painted alternative. It can often look like a ‘quick win’ when you are told by a tendering builder that you can save $x’000 by swapping pre-finished for on-site painted. However, what initially Iooks the same will soon begin to fade – ‘literally’. This is ok if you only want to your façade to look good for a year or two but if you are after longevity then pre-finished is the only guaranteed solution. 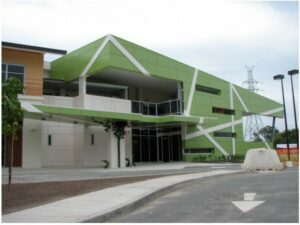 The ongoing maintenance cost to keep your on-site painted façade looking smart soon outweighs the cost saving. However, with advances in technology, the pre-finished market now brings with it a new range of benefits and enhancements. Your desired finish, whether it be a colour or a design, is applied to the CFC boards in a climate-controlled factory environment setting ensuring a clean and controlled finish on all the materials. Factory application also allows for more technologically advanced ‘quality’ costings to be allied which is not possible with an onsite application. A consistent finish also has the advantage that each product receives the right treatment on every part of the product. Traditional onsite painted CFC panels lack the precision and the high quality flouropolymer coating system provided by prefinished panels. This leads to a marked deterioration in the finish quality and colour over as little as 18 months. 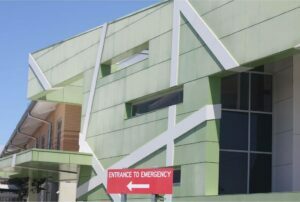 See below an example of a hospital in Queensland that was finished in on-site painted CFC boards. You can see in the first photo how it looks once first installed and how the colour appeared just 18 months later. As we said earlier, it may not be the cheaper of the two options, but in the long-term you pay a bit more up front for pre-finished compressed fibre cement panels but end up with something that looks better, has a longer warranty and design life and require much less maintenance as the chart below shows. Pre-finished CFC keeps your project looking great for years! 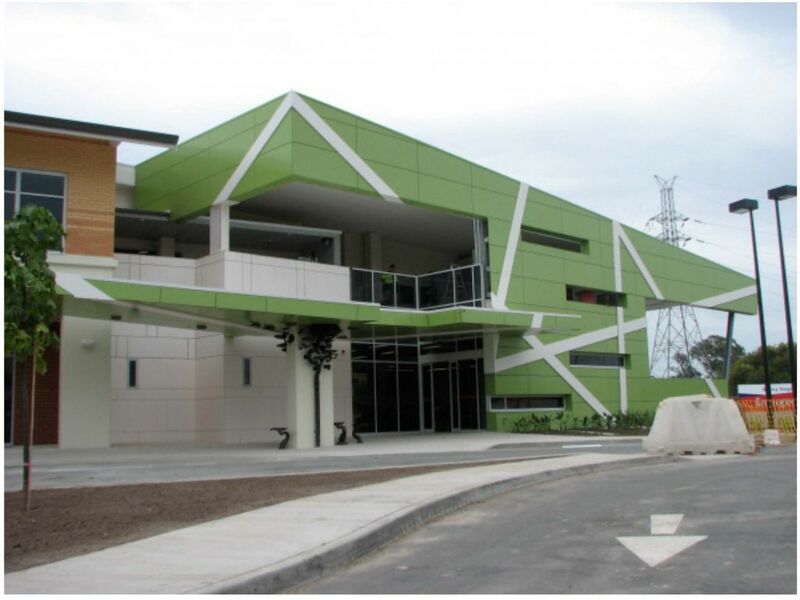 If a pre-finished fibre cement solution sounds like what you need for your next project, take a look at our two popular solutions: Ceramapanel and Equitone.